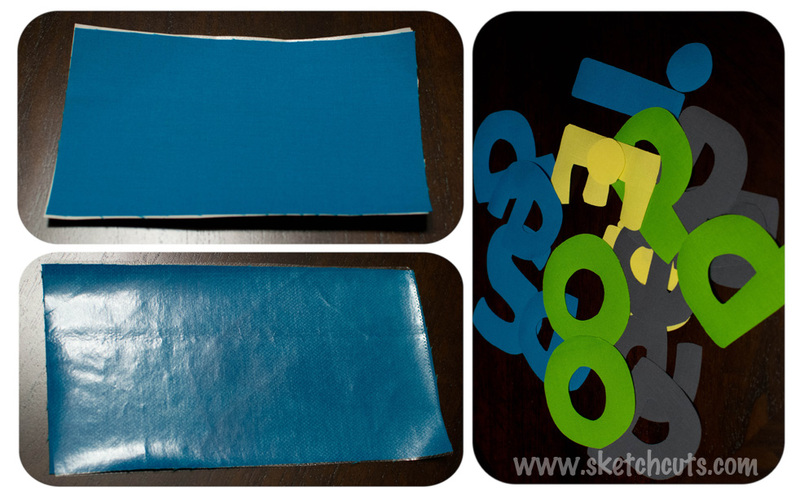 Sketch Cuts | Dream it, Sketch it, Cut it! Finally a blog post and a Silhouette Cameo one at that. I made this quilt a while ago but I wanted to show you how it easy it was to cut fabric with the Silhouette Cameo. I will admit I was a bit skeptically that it would cut all the way through the fabric but it did wonderfully. The letters are appliqued using the Silhouette Sewable Fabric Interfacing. The interfacing comes in a giant sheet that you cut away as much as you need. Iron this onto the back of your fabric. Note: On the back of the instructions it says that you should cut the interface to be longer than the your fabric but don’t do this. It just gums up your iron. By the end I just cut the interface to be slightly smaller than the fabric. Silhouette Cameo cut the fabric very nicely. I also put in a new blade in before I starting to cut. I wanted to ensure that the blade would cut on the first time. 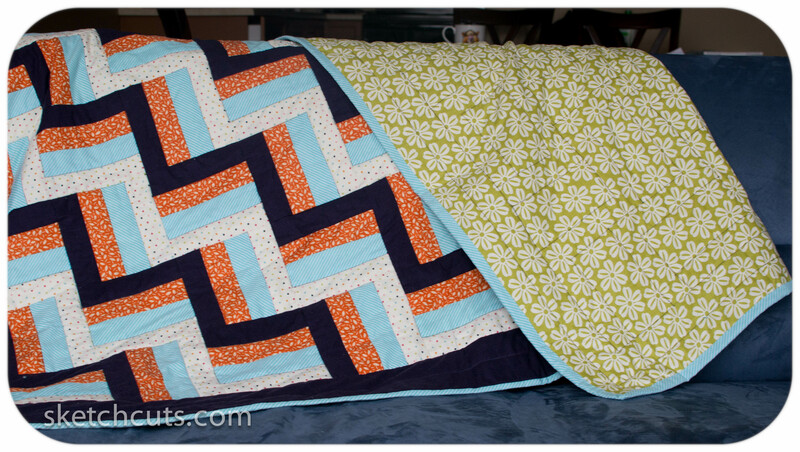 If you are looking for details on how to make this quilt, you can find it here. 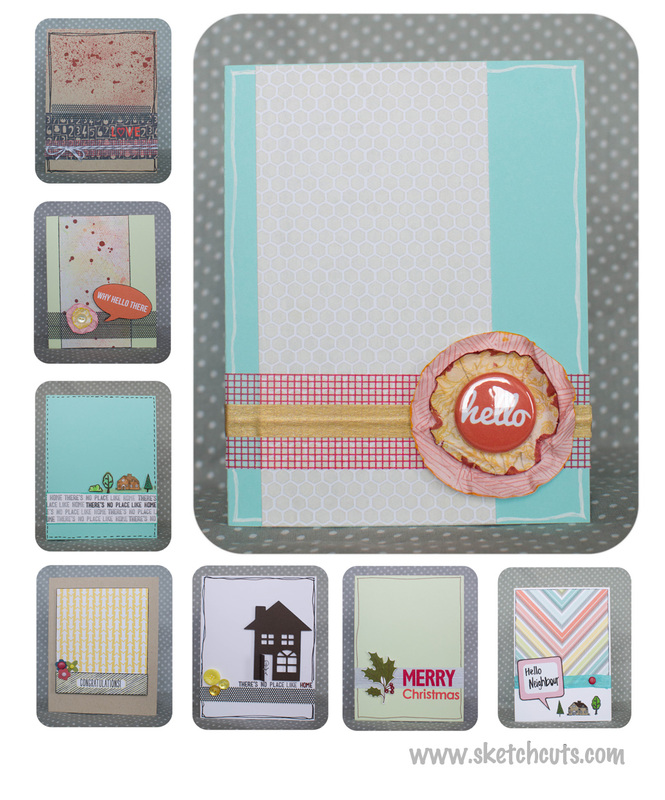 And here it is the February card kit from Studio Calico – Front Row. I was on a roll. I made all 6 cards in one afternoon. I love being able to sit down and make all the cards in one kit. Now I just need to figure out what to do with my left over scraps. 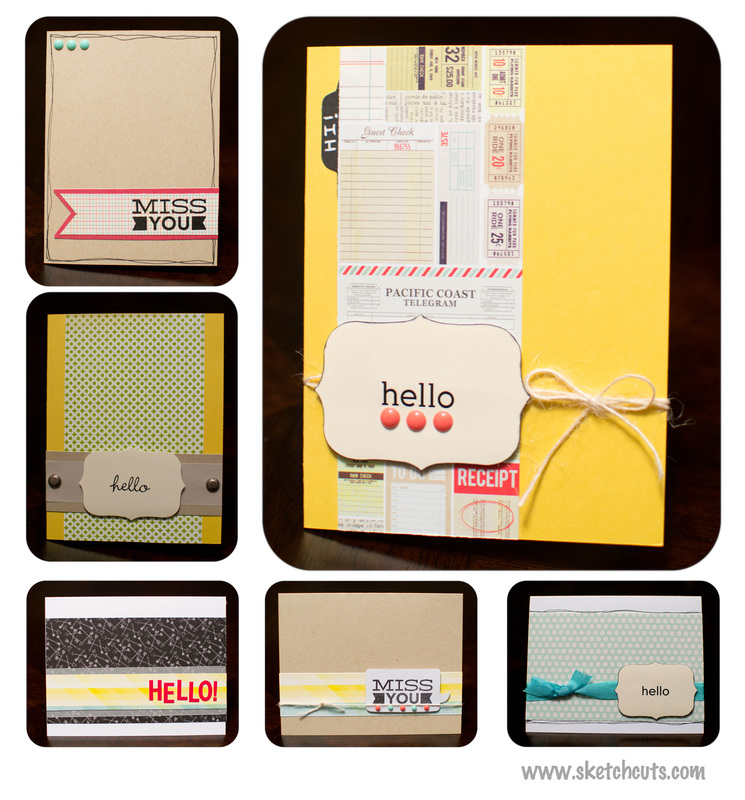 In a couple of days Studio Calico will be releasing their March kits. Stay tuned! 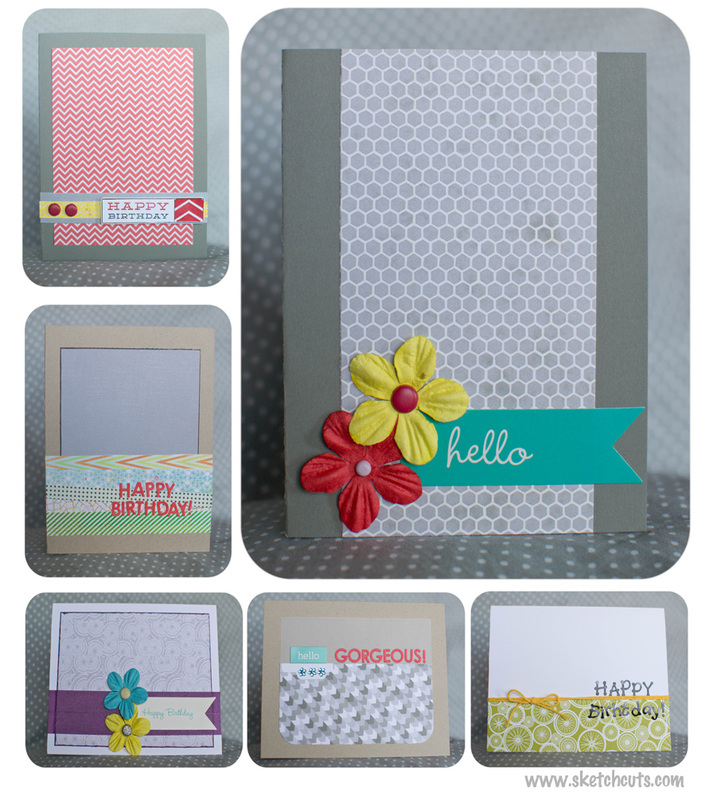 So finally here are my cards made with the January card kit, Block Party. This post is really short and to the point. Enjoy. I am a wee bit late sharing the December card kit from Studio Calico. But better late than never. These were made from the main card kit called the 34th Street. I did add a few supplies from the previous month’s card kit. I love how you can still use the left overs for the new month. Next week I will be posting my January’s kit. Just in time for the February kit that was just released. Are you looking for some new penpals? Come on and join the League of Extraordinary Penpals. My bestie, Laura has started a new club with Julie. Do you like getting monthly surprises? Why not join? You get a lot of stuff for such an awesome deal! You get some paper and a fantastic newsletter. It is a great way to meet some new people. I love the super hero theme they have as well! Who doesn’t love being a superhero?! Check it out and sign up! And if you sign up early you can even catch the early subscription special! I kind of fell off the blogging wagon last year. December was crazy busy. I decided the last minute that I was going to make a quilt for my new little nephew. After finishing up with my first quilting course and completing my first quilt. 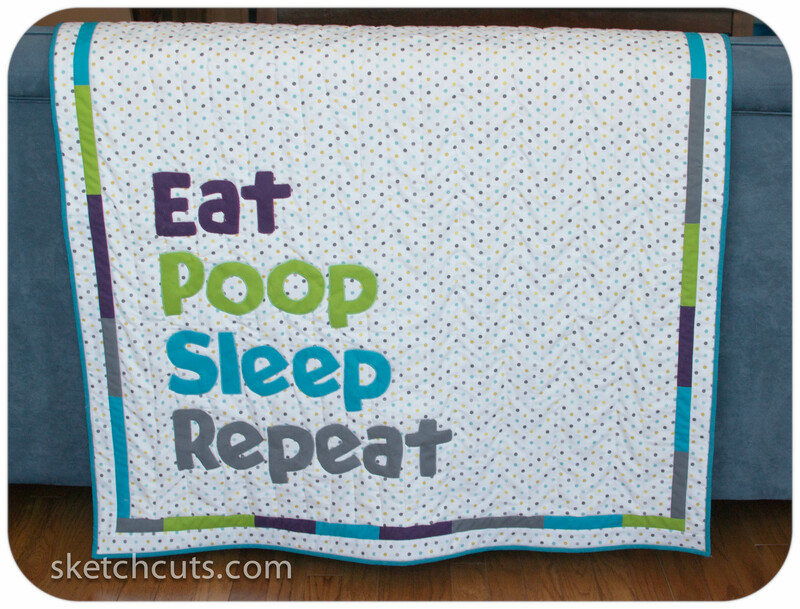 I will be sharing the quilt for my nephew in another blog post. But in the mean time here is my first quilt. A lot of blood sweat and tears went into this quilt. I can’t stress how much I learned. I know there is a steep learning curve for since I knew nothing to start. But I love that I am applying the knowledge to other fabric projects that I did like the one posted here and for the baby quilt that I made (will post later). I also like the supplies that I picked for the class like the rotatory cutter. Hopefully I will use these more in the futures. I wish all of you the best in 2013! So it has been a long while since I have made a card. But a couple of weekends ago I sat down and make 8 cards. I was so excited when my Studio Calico card kit came in the mail. This was my first kit and I love it. I love how everything is co-coordinating and you get embellishments and even stamps. I love it because I don’t think I would have purchased these items but it all comes together. It was a nice challenge to use up as much product in the kit. If you are still interested I believe you can still get the card kit I used here, Sock Hop. And you can even start your own card kit subscriptions as well.